When I started planning our epic road trip along US Highway 71 from the Louisiana border to the Missouri state line, I looked closely at every town we expected to pass through. 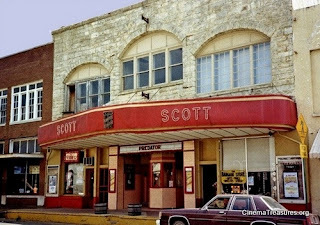 And when we got to Waldron, I recalled two stops I had put on my must-visit list: The Rock Cafe and the Scott Theater. it seem closed for good. upgrades included a pricey replacement of the original film projector to a new state-of-the-art digital video and sound system. Today, the theater seats 220 comfortably, and operates every Friday, Saturday and Sunday night. 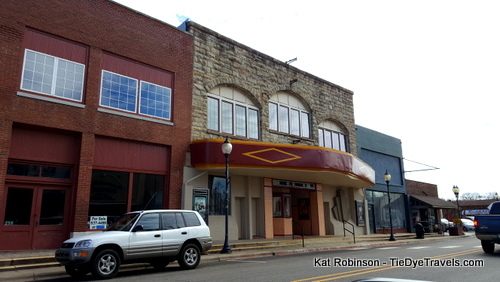 It is believed to be the oldest operating movie theater in Arkansas. 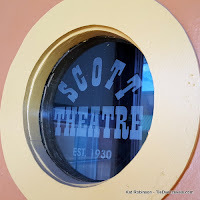 Mandy Day met us that morning and took us on a tour, Even before we went in, I was impressed by the well-kept box office and the gorgeous round porthole style windows on the doors. 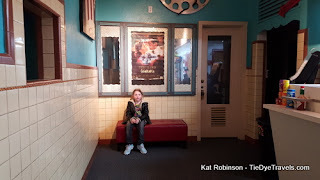 from a great movie theater. 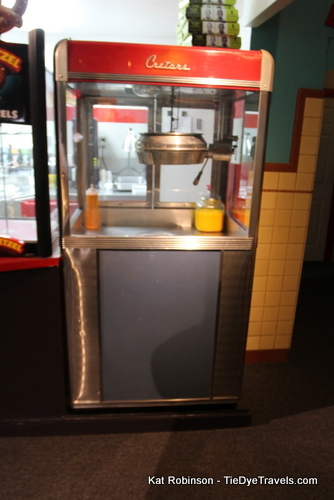 There's also a 1950s style popcorn machine to ogle. 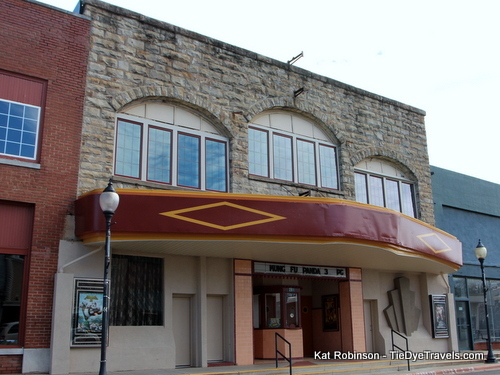 Part of the challenge of renovating the theater came from state requirements for ADA compatible restrooms. While the original restrooms were tight and tiny, larger units built into the front of the building are nicely done and decorated with old film reels salvaged from elsewhere in the theater. 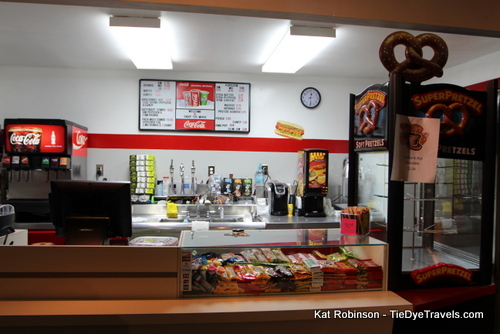 What's truly impressive is what's beyond the concession counter. Once you pass through into the theater, you'll find an impressive combination of both old and new. 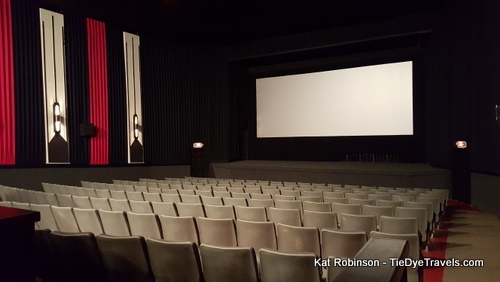 The screen, recently replaced, hangs above a stage, which means there's a possibility of holding other events in the space. 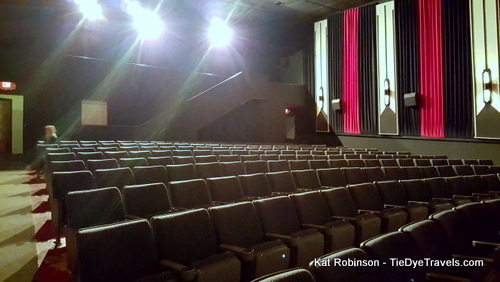 195 seats sit on the main floor. 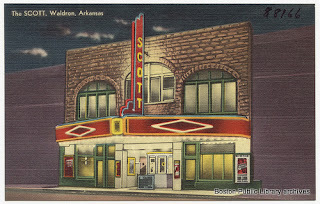 Meticulously pleated red, black and white curtains adorn the walls, covering plaster original to the theater. 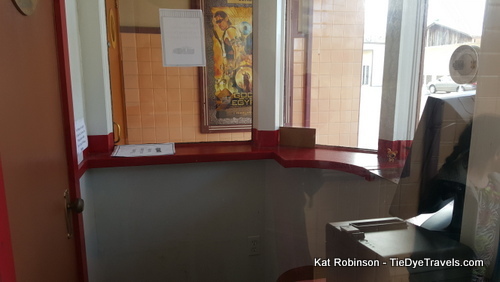 The remodel included a balcony, which wasn't original to the theater. In fact, when renovations were underway, a small apartment was discovered upstairs, complete with clawfoot bathtub! Today, 25 seats have a prime view of activities and movies below, with a strict rule of no unaccompanied children enforced for the balcony. 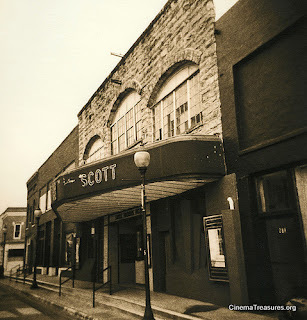 The Scott Theater is located at 281 Main Street in Waldron. 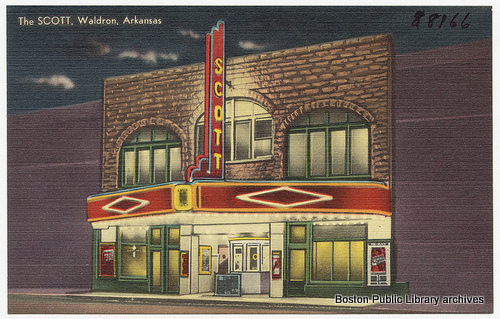 If you'd like more information about The Scott Theater or want to see what's playing, check out the website. 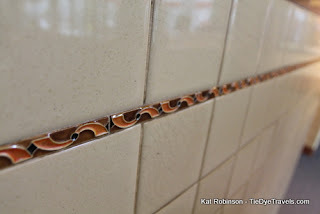 And keep up with happenings there on the Facebook page. We started here on a Sunday. 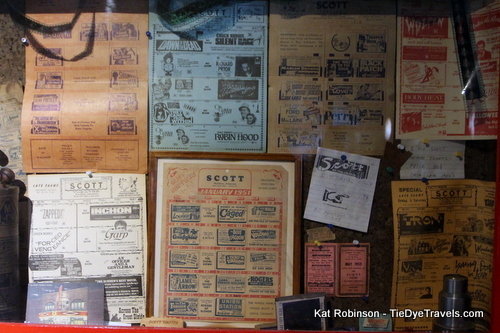 And we had a lot more adventures, too. Check out our social media progress here.